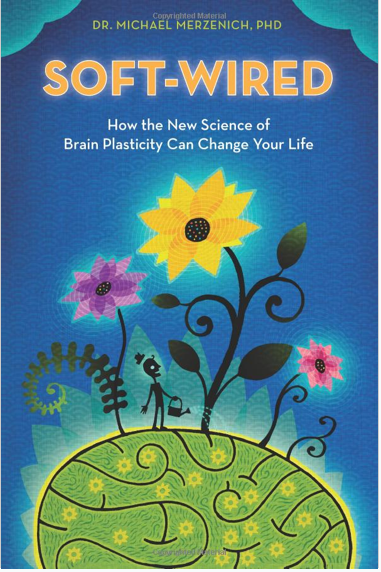 Soft-Wired: How the New Science of Brain Plasticity Can Change Your Life by Michael Merzenich, PhD, offers a wealth of stories and scientific information on how brain plasticity holds the key to slowing the signs of aging. I was interested in this book as a means to learn more about rewiring the brain after chemical injury. But reading Dr. Merzenich’s comprehensive history of brain plasticity and how he helped pioneer this field, I learned how it can be applied by everyone and anyone to help them recover from health issues of most any kind, and to slow the effects of aging… to make us all stronger, more capable, competent and even more intelligent. Thanks, Becca. You and your reviews inspire me to a better life and instead of sitting down to type this, I am standing up and doing squats intermixed with my typing, albeit slow ones, so here to re-wiring!